Wildfires have spread across Southern California for five days threatening local groundwater quality. The fires began Dec. 4, and were triggered by Santa Ana winds blowing up to 80 miles per hour coupled with dry vegetation. According to the California Department of Forestry and Fire Protection (Cal Fire), six wildfires have blown across 141,000 acres forcing 190,000 people to evacuate their homes impacting Santa Barbara and San Diego counties. While the winds have reduced from 80 miles per hour down to 35 to 55 miles per hour, a threat remains as firefighters strive to contain the blazes. The wildfires come during what is typically the wet season in Southern California, however, this wet season ranks as the 11th driest in 141 years of records. 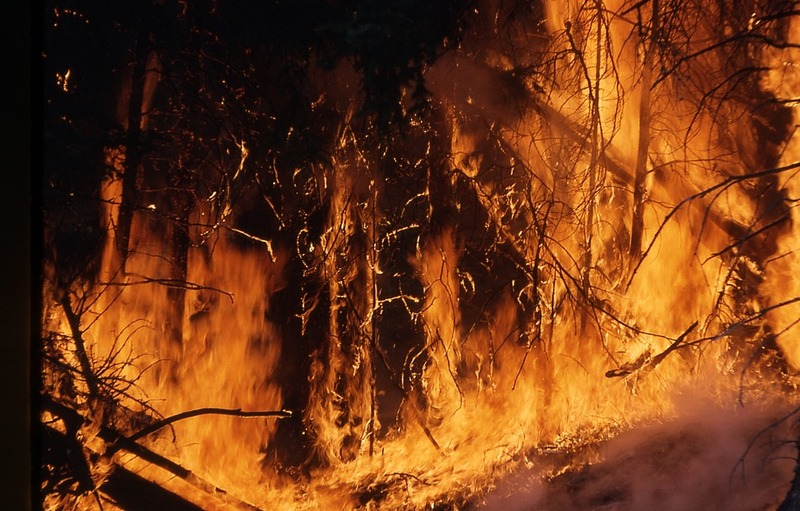 The wildfires pose a threat to both erosion control and groundwater quality. In the wake of the fires, fire ravaged land will be far more susceptible to erosion pulling debris into the surrounding water sources. Groundwater runs the risk of becoming difficult to treat because nutrient spikes can cause algae blooms, particles can clog filters, or chloroform can form from organic matter reacting with treatment chemicals. These fires come in tandem with a recent study by the U.S. Geological Survey which assessed the link between wildfires and soil erosion rates as well as their subsequent impact on watersheds. The study anticipated a rise in erosion rates over the coming years. Organizations such as the U.S. Forest Service, Salt River Project and the National Forest Foundation are already taking steps to protect watersheds and reduce the likelihood of high-intensity fires by thinning forests.